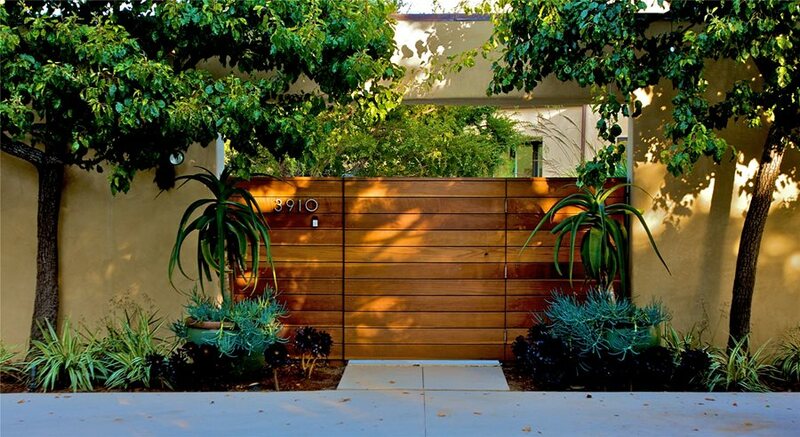 This home sits on a corner lot in a busy city which made privacy an issue. 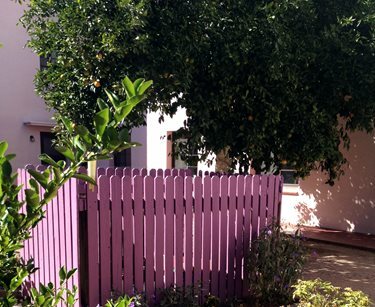 The solution was to install a privacy fence that would screen the property from the rest of the neighborhood. 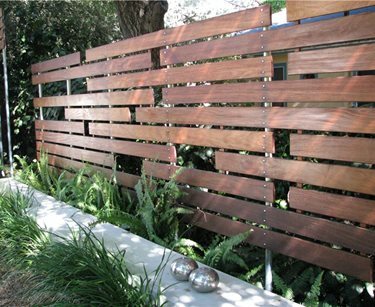 To create a contemporary look, the homeowner opted for a fence with horizontal boards rather than the typical vertical pattern. Openings between each board allow light to filter through and keep the space from feeling totally enclosed. 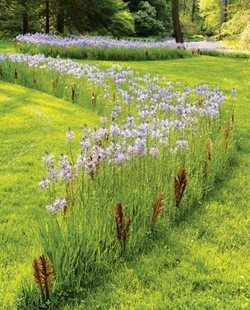 The designer chose to stain the fence black so that it would serve as a dramatic backdrop for the plants she selected. 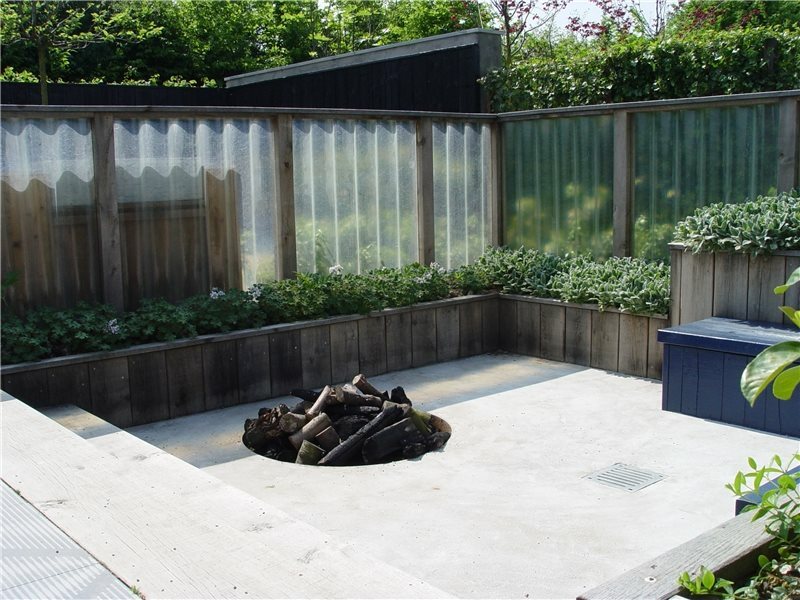 Privacy was a primary concern in this tiny urban garden. 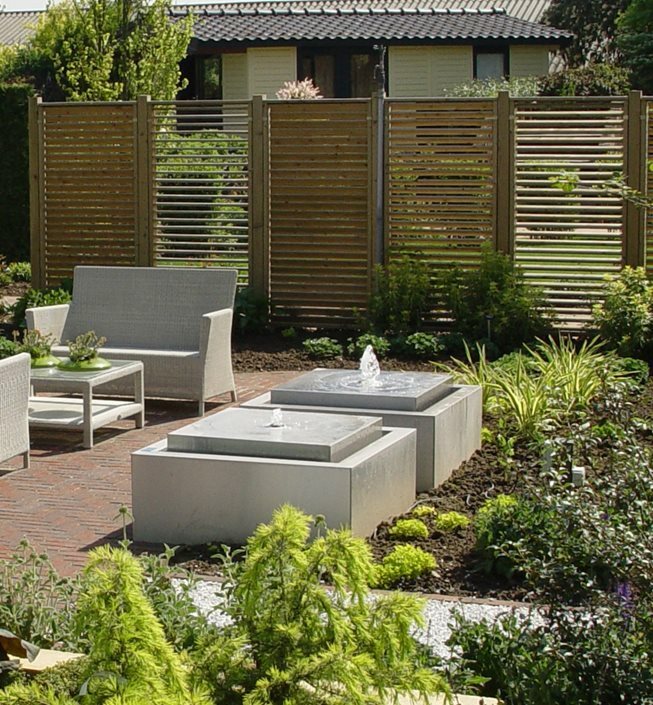 Ipe fencing was used for most of the space, but the designer was concerned that enclosing the entire garden with solid fencing would have blocked what little sunlight was available. 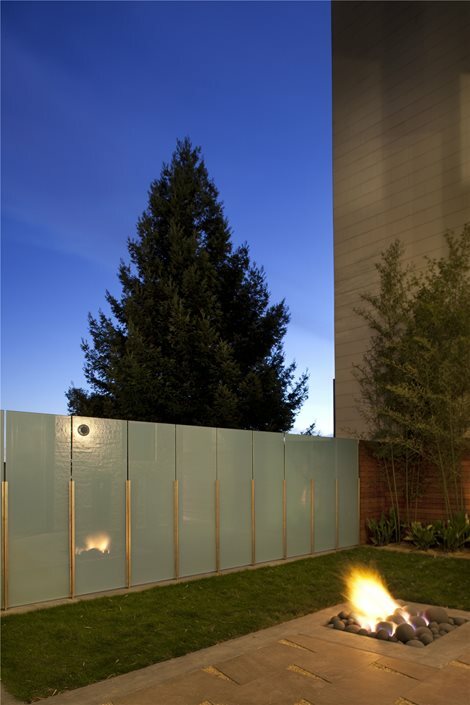 So a portion of the back fence was created using opaque tempered glass panels which allow light to pass through. 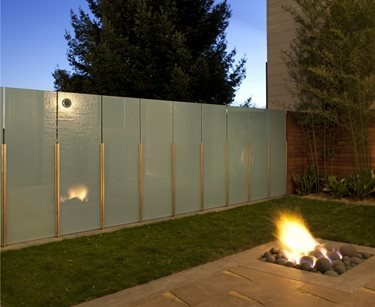 At night, the flames from the fire pit reflect beautifully off the surface of the glass panels, helping to wash warm glowing light across the courtyard. 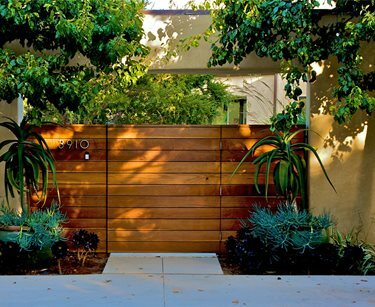 Visitors enter this contemporary Mediterranean landscape through a simple redwood gate. The boards are arranged horizontally and without any gaps. The warm color of the redwood blends nicely with the earthiness of the stucco wall. 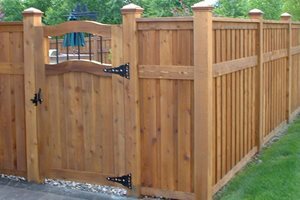 Redwood is a popular gate and fencing choice in the West because it can be sourced locally and it resists mold, rot and insects better than other wood species. Fences don't have to be solid. 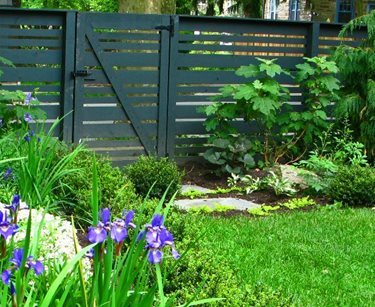 This fence has openings that let light through and reveal greenery behind, while still providing plenty of privacy from the neighbors. 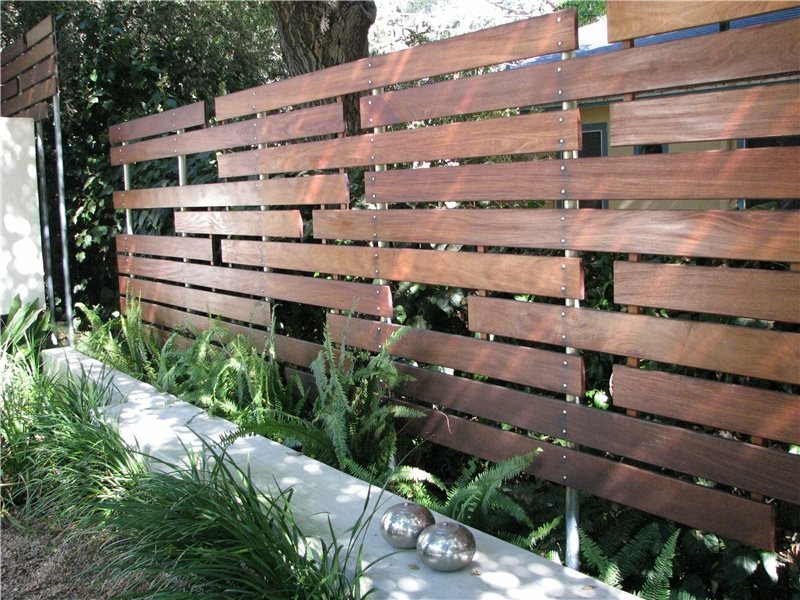 The random horizontal arrangement of the boards along with the visible metal posts and fasteners creates a modern look. 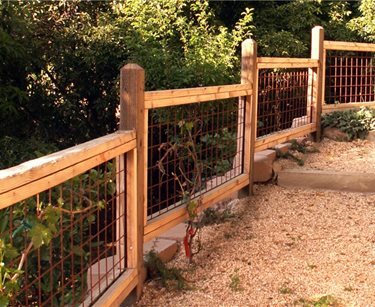 The open lattice style of this fence allows plants to grow up and along the fence. In a few years it will be covered with ivy and blend effortlessly into the rest of the landscape. 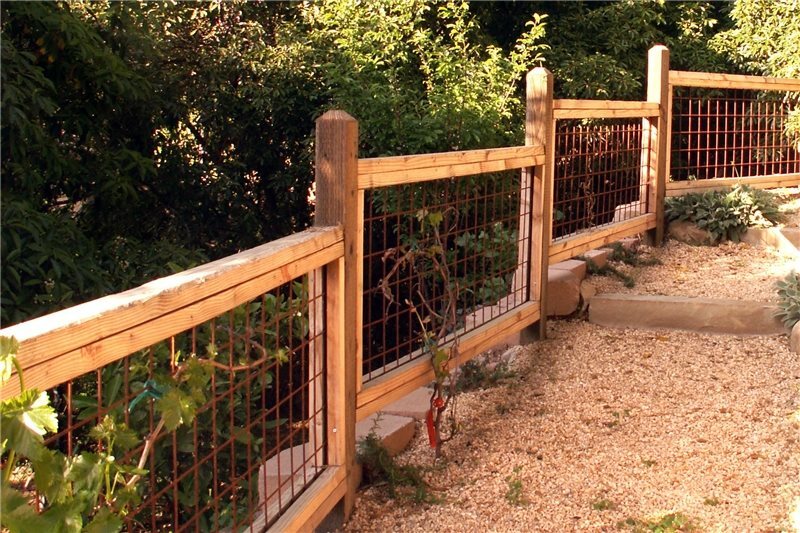 Pressure treated wood is best for a fence like this because it won't rot or become infested with insects. 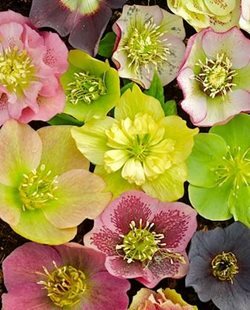 Do you have something in your garden that you’d like to hide? 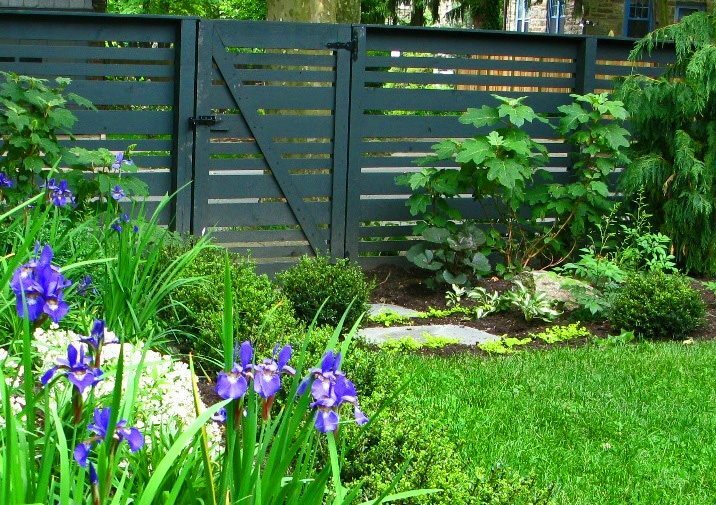 Whether it is a propane tank, air conditioning unit or even a vegetable garden that is out of season, concealing it with a decorative fence is a good option. 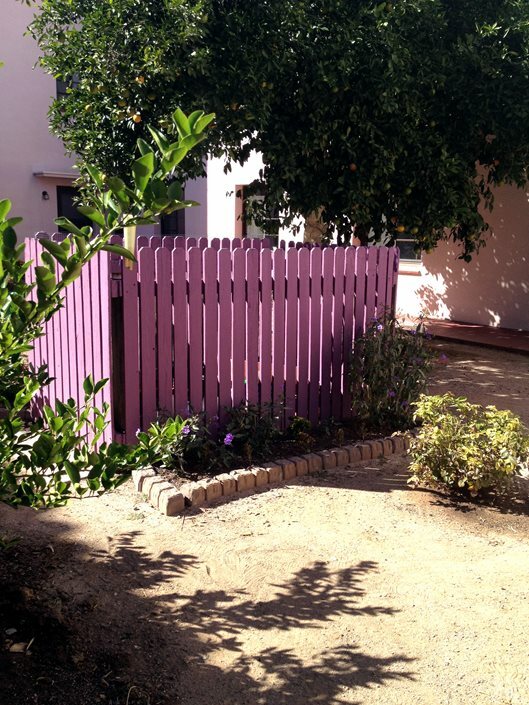 In this case, a picket fence, painted a lively shade of purple helps to hide an eyesore. Here the eyesore is visible from all sides, requiring fence all the way around. 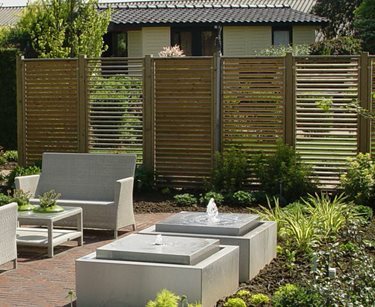 For you this may not be necessary, a simple fence panel on the side from which the object is visible may do the trick. 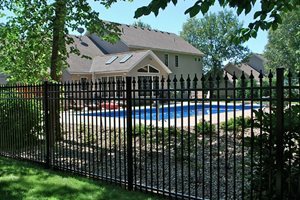 Fences can have many purposes - designating a property line, keeping children and pets safely in the yard, creating privacy and more. 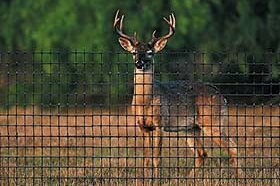 As illustrated here, fences can also be effective windbreaks. 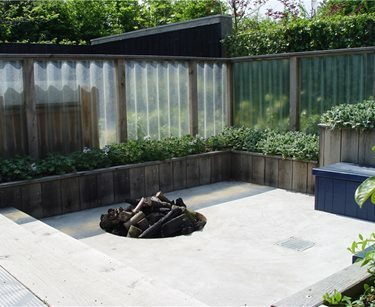 Planters and a high fence were erected around this fire pit area to ensure that the space could be enjoyed even on the windiest of days. A translucent material was used so that when inside the fenced area one would not feel trapped. Another unorthodox use for a fence is as a partition. 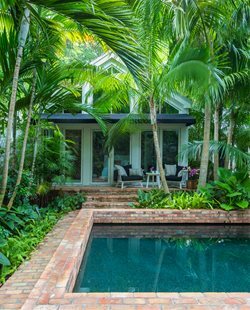 When you have a large yard, partitions are great for dividing the space up into smaller outdoor rooms. The partition shown here separates a patio from the rest of the yard, as well as a building in the distance. The shutter-like design of the partition allows for the visually permeability to be increased or decreased as desired.